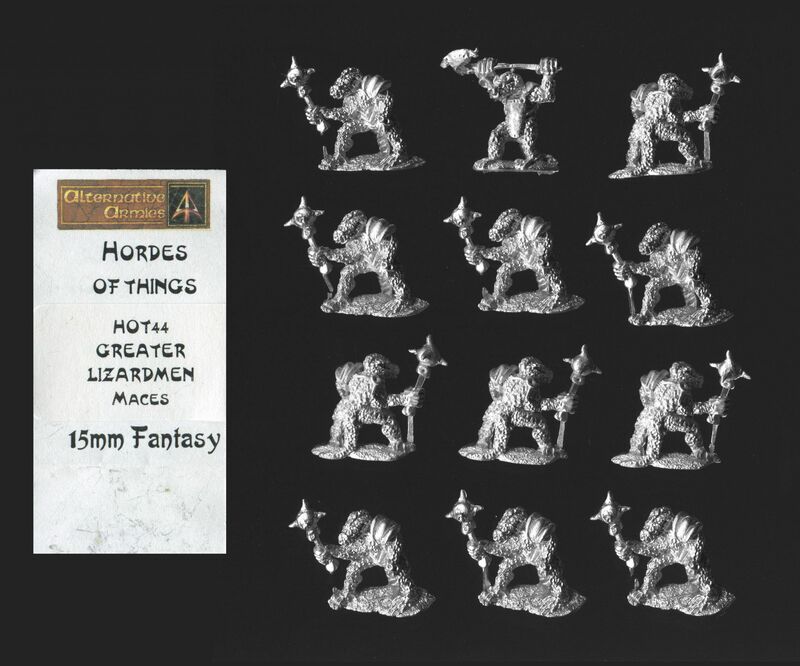 HOT44 Greater Lizardmen with mace. Twelve models – eleven identical models with officer. Officer holding poleaxe in both hands overhead. The figure wears a breastplate but is otherwise naked except for his natural thick hide. He stands approximately 20mm tall. 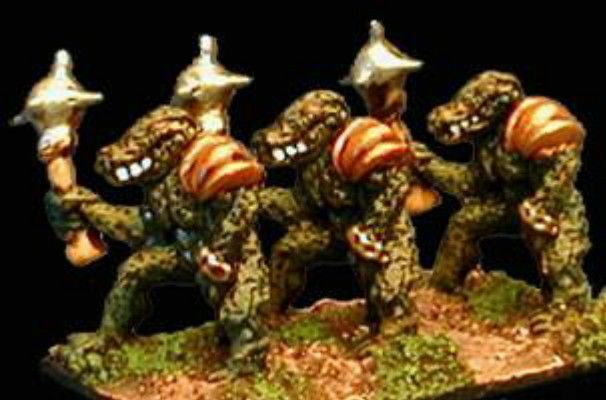 Greater lizardmen with mace. Eleven identical models. The advancing figure has shoulder protection and holds a spiked mace in his right hand. 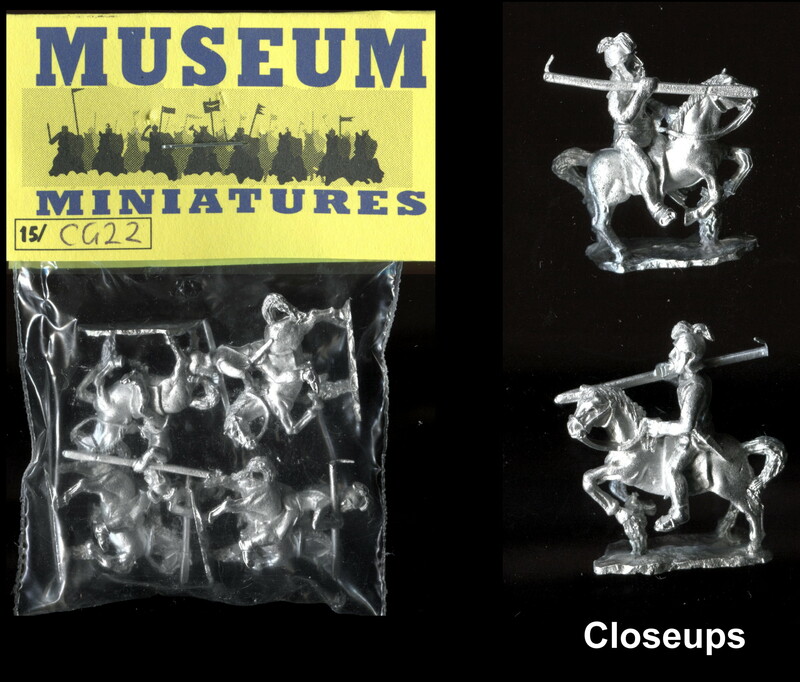 The model is approximately 18mm tall.